Love sea creatures, think of diving and what better than diving dry or without a drop of water clinging to your body or hair? Yes, this is very much possible. You can imagine going several feet’s down the sea surface, sit among the swirl of bright and dark coloured fishes and other sea creatures roaming freely around you. Confused? We are talking about undersea dining experience here! Undersea diving to explore life and life forms under water has been an old and ever growing craze of loads of sea life researchers and marine scientists. All this has been a craving to gain knowledge about the patterns and type of life forms existing deep under the sea. But this gang of knowledge and fact thirsty researchers have also been surrounded by the common people, who would just like to view and enjoy the sea life for its beauty and purity of life, existing down there. Diving has been a threat for many such nature and sea lovers but this is no more enough to stop them. Many under sea restaurants and lounges have now been developed, which not mimic the surrounding but offer a taste of actual sea creatures around you. They offer to be wondrous places constructed deep under sea surface, where customers can come and enjoy meals sitting amongst the scenic view of beautiful sea forms, varied creatures, coral gardens and sea plants floating around. It is not a marine aquarium. Marine aquariums are yet another form of artificial habitat constructed to let visitors to experience and feel similar to the exact sea life but under sea restaurants are a lot different in terms of location, constructions and tonnes different in terms of what they offer to its visitors. These eating places serve the immense pleasure packed in glittering excitement of sharing meal with sea creatures in their very own natural habitat; the sea itself. 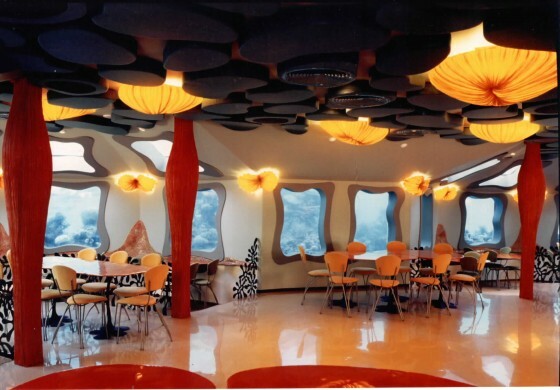 ‘Red Sea Star’ restaurant in Eilat, Israel is the first of its kind restaurant to be opened under sea, in 1996. The pattern had been followed with slight modifications in many other countries too. The ambience of this place including the seating space, outlook of the building, furniture, lighting and even the menu of the place has been inspired by the famous Red Sea. Imagine being served your favourite sea food in a decorated snail shaped serving dish by the polite staff of the place dressed as sea divers; while you are comfortably sitting on an anemone shaped stool amongst actual sea anemones, corals, jelly fishes and numerous other sea creatures passing by you and gazing at you. All this and much more are possible at this place. This first of its kind and a marvel of entertainment! This star shaped (as the name says) restaurant is set 16 feet below the sea surface. The waves of Red sea pushing against the string, transparent and very safe construction unit bring along exciting packages of floating sea plants, animals and other life forms present in the sea, and the customers can enjoy watching these while enjoying a delicious meal. The windows made of Plexiglas and the special lighting system embedded in the core design of the restaurant keeps the sea life untouched and undisturbed. Special care and attention has been paid to ensure no pollution or littering of the place. All such and many more measure re-assuring complete safety of sea creatures as well as staff and customers have been considered and achieved. Special menu items have been invented to compliment the theme of the restaurants; music and light systems enhance its beauty and the mesmerising view is just simply jaw dropping. While excellent food is served in excellent surrounding, Red Sea Star hotel owners also offer their customers a free complimentary underwater world tour, to add to your bags of ‘sea life info’. Six thousand tonnes of steel and concrete formed in shape of a big star rest 15 feet under the Red sea to welcome and offer meals to 105 customers at a time that can enjoy frolicking views of amazing sea life floating around them through 62 wide windows of the hotel. This fantastic dry diving experience would surely be a memorable one with lots to sea, learn, experience, feel and off course enjoy. 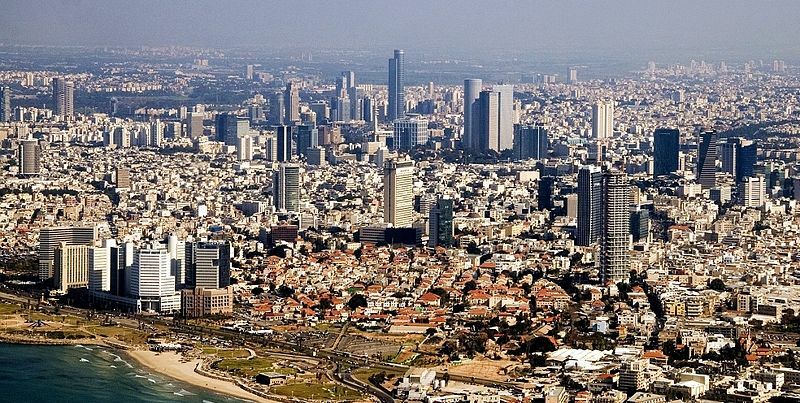 This ten year old landmark, oops sea mark restaurant might cost a little heavy for once pocket (including travel, accommodation in Israel and dinning); but it is worth a try. Surely, an experience of lifetime! Many a times, customers’ complaint that they were too busy watching the creatures floating around that they could hardly concentrate on food. Jokes apart, under sea dinning is fantastic way to celebrate special occasions plus a way to witness and appreciate nature’s beauty hidden under sea. ‘Utter Inn’, Lake Malaren, Sweden and many more. Each of the above has similar concept of offering underwater dining experience but each one has their unique features and attractions too. 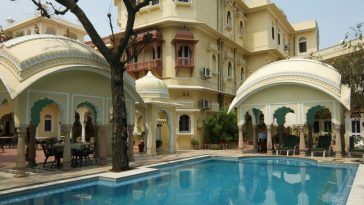 The number of such hotels and lodges is expected to increase a bit more in coming future. Rest apart, the charm of witnessing the first of its type is altogether a different experience and definitely fine dining experience at Red Sea Star hotel Eilat, Israel would be a breath-taking one. 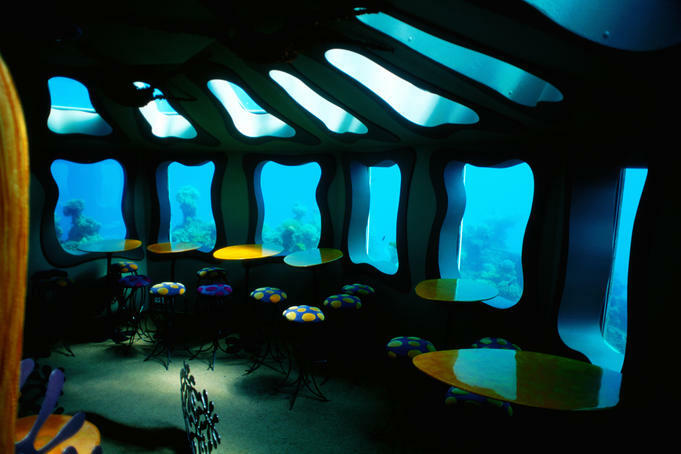 So the next time you plan a leisure trip, try travelling to Israel to dine under the sea. Author Bio: The post is authorised by Jason Phillips. He writes about responsible travel holidays and jerusalem hotels for a range of travel-related websites and blogs. 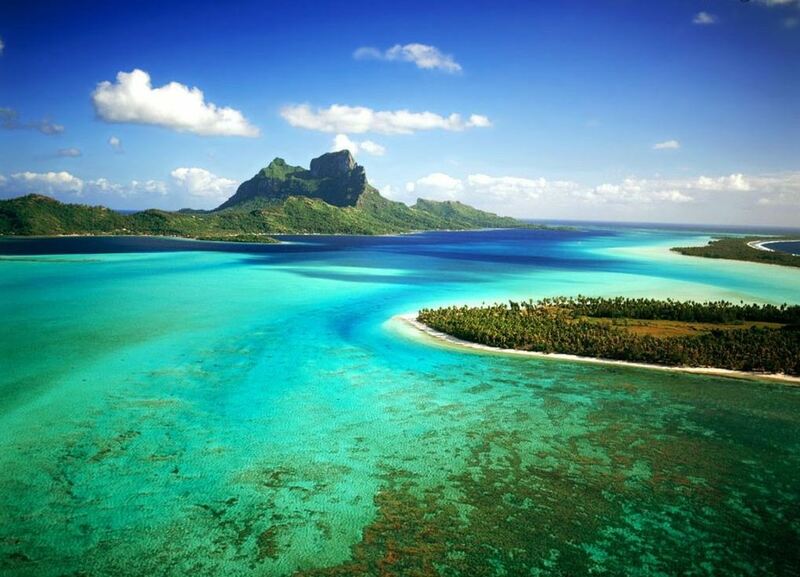 He is also a keen skier and recently spent time exploring the best in skiing holiday options.